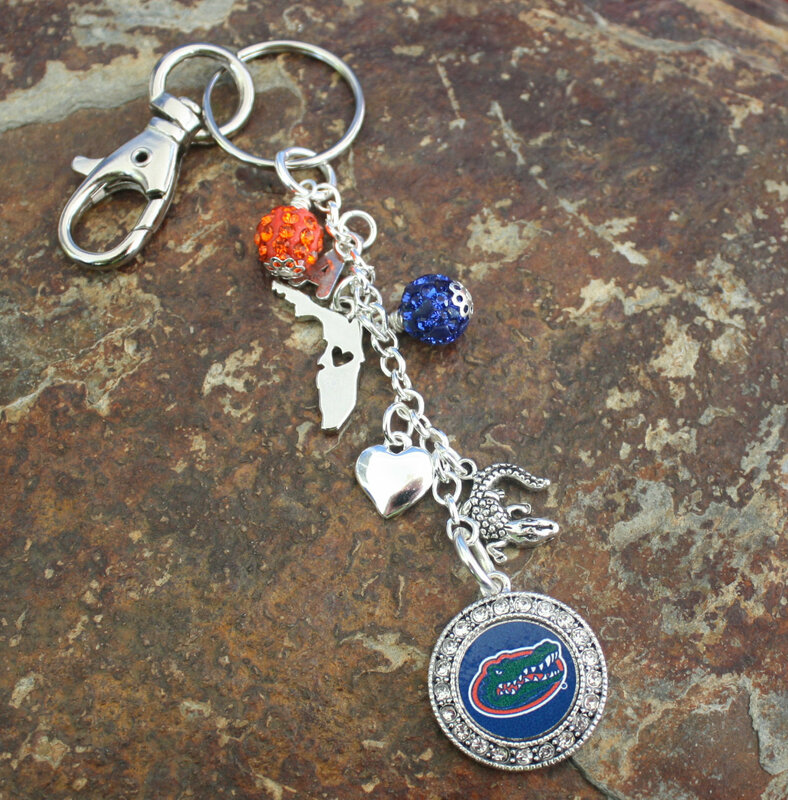 Calling all Florida Gators fan. 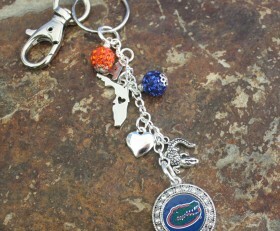 This keychain or purse charm has the Florida Gators logo, a gator charm, heart and state of Florida charms. It’s accented with blue and gold crystal pave beads. You can change the heart charm to a football charm. Select when you order.